Report Builder for Microsoft Access helps you create dynamic, professional-looking reports fast! The easy-to-understand wizard helps you with complex tasks like calculated fields, adding subreports, customizing styles, as well as grouping and sorting. Download a free trial today! When you are working with data in multiple database tables you'll most likely need to use information from different tables, queries and reports. This is where the subreports come in handy. It allows you to create links between different objects and the information will be displayed in a logical, readable way. Note: if the subreport will be linked to the main report, make sure that the underlying record sources are related. In order to create a subreport we will be using the Subreport Wizard. 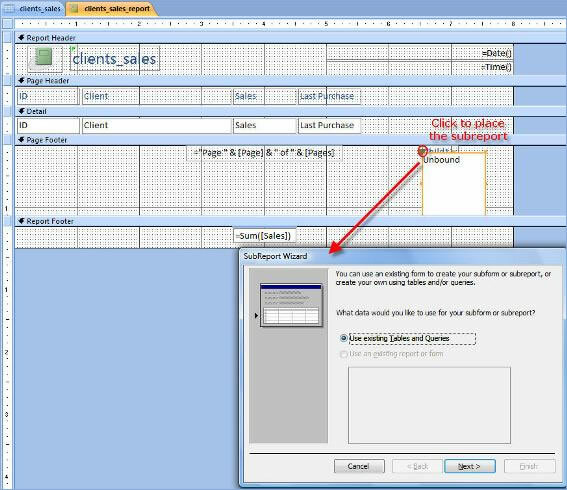 For the purpose of this tutorial we created the report called "client_sales_report"
In the Design ribbon, under the Controls group, make sure that Use Control Wizards is selected. 3. 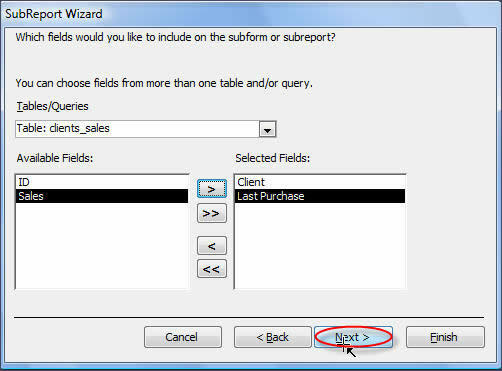 On the report click where you want to place the subreport and the following wizard will be displayed. 4. If you want to create the subreport on an existing table or query, tick the appropriate button. If you want to base the subreport on an existing report, you can choose that as well (and then choose the report on which to base the subreport). For the purpose of this tutorial we’ll be choosing "Use existing Tables and Queries". Click Next. Select the table/query and then select the fields that you want to be displayed in the report. 5. Now, Access 2007 will determine how the subreport will be linked to the report. Note: if you choose to base the subreport on an existing report you’ll skip the previous step. Choose the appropriate link between the report and subreport and then click on Next. Alternatively you can define your own link (click on "Define my own"). 6. Type the name for your subreport and click Finish. You can also add a table, query or report to a report as a subreport, by opening the report in Design View and then dragging the object from the Navigation Pane to it. 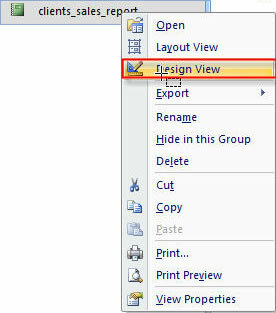 From the Navigation Pane, drag a report, table or query to the existing report and drop it where you want it to appear. 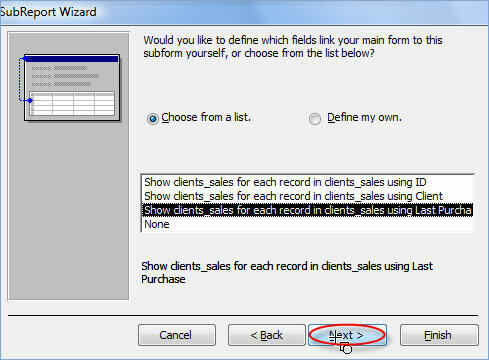 If Microsoft Access 2007 can determine how to link the report to the added object, it will create the link. Otherwise it will open the Subreport Wizard.